There’s a lot to learn from each social media channel–especially if you want your business to stay relevant. As you build your brand, knowing the ins and outs of a platform like Instagram will truly decide whether or not your social media strategy succeeds. By following Instagram best practices, you’re able to use the platform as a marketing tool and not just a social site. While we’ve written about Instagram numerous times, it’s still critical to understand the importance of social media engagement. Jump to the Instagram Best Practices Infographic. 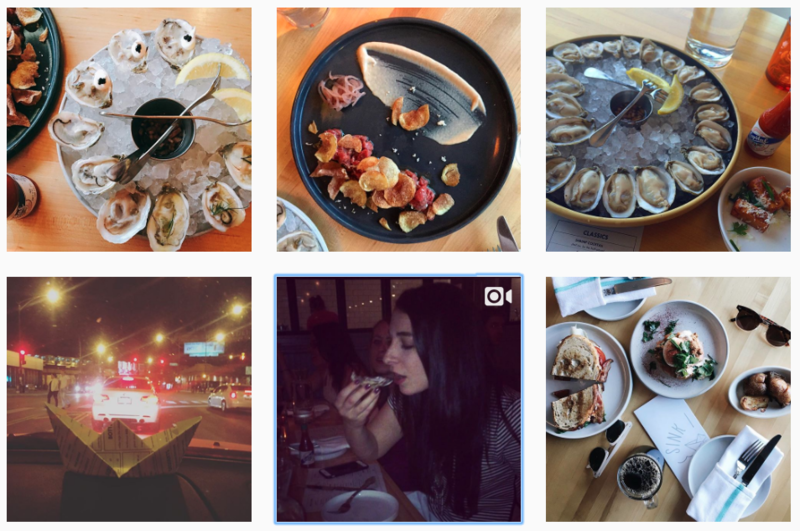 Your Instagram best practices shouldn’t only include uploading photos and videos. In the same sense, you wouldn’t go into a marketing strategy blindly without a sales and brand awareness plan. The truth is Instagram can have monumental effects on your engagement and marketing strategies. For example, Tito’s Handmade Vodka increased its Instagram engagement by 37% through a single quarter. The company also grew its followers by 14.8% by focusing on using Instagram as an engagement tool. For some reason, social media still tends to take a back seat as a viable advertising channel. Businesses have to understand the benefits of using a platform like Instagram. Planning your Instagram strategy in advance is crucial to success and seeing real results with your followers. What Makes You Unique on Instagram? Hopefully you’re getting excited, or at least have some interest in how to use Instagram to better your business. But before we get into our Instagram best practices, you need figure out what makes your business and your audience unique. What does our audience like most about our brand? Who are we trying to ultimately reach? Are our competitors successful on Instagram? What marketing strategies have worked in the past? What do customers expect with our brand? Is that good enough? Instagram is all about great visuals and content. Scroll through some popular feeds with thousands of likes and views, and you’ll quickly understand why these brands drive engagement. Great images and videos engage. Think about it like a billboard campaign. You wouldn’t choose an ugly or mundane billboard to catch drivers’ eyes on the highway. The same can be said about your Instagram. With more than 400 million users, people are constantly exploring all corners of Instagram, so why not present your brand in the most beautiful way possible? Shopify released an infographic on the importance of color in marketing, and the research showed 93% of buyers cited “visual appearance” as the main reason for their purchasing decisions. To add to it, nearly 85% of buyers said color was the main reason for purchasing a specific product. Your Instagram content should stand out in a user’s feed, so don’t skip on visual aesthetics. Instagram is constantly changing and you have to be right there when new trends, features or updates hit the public. In 2016, Instagram has already launched numerous changes and the year isn’t over yet. 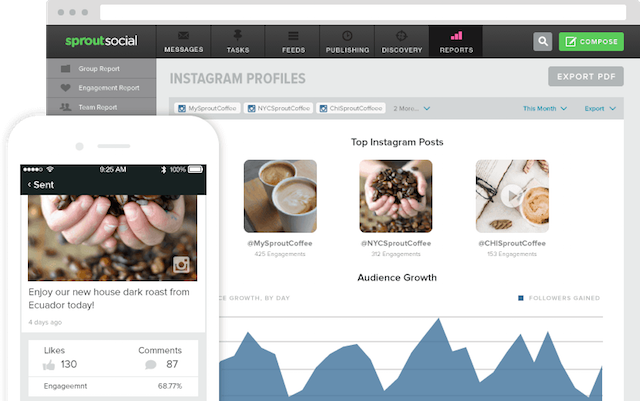 Tracking Instagram trends helps you plan for the future as you build out your marketing strategy. 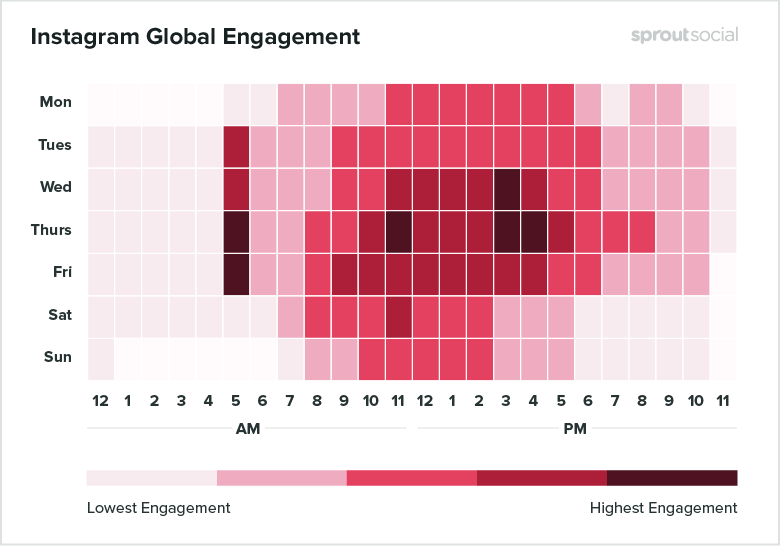 Being able to collect data on post times, engagement rates and how users are connecting to you is essential to know. Following trends keeps you above the competition and shows your audience your ability to adapt to change. Your data-driven decisions should be backed by knowledge of trends within the industry and on Instagram as well. If you answered the questions at the beginning of the article, you should have a decent idea of what your audience wants from you. 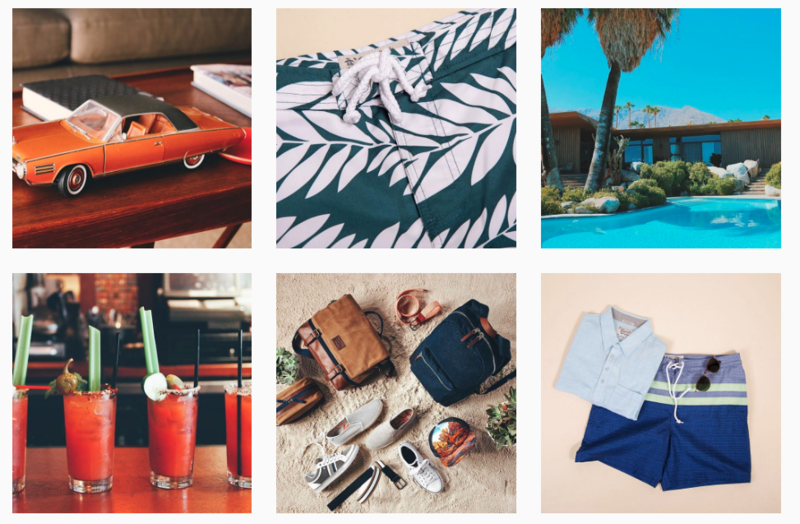 Your Instagram best practices need to be a balance between promotional and inspiring. Data from Forrester showed Instagram with the highest engagement rates between customers and brands among all major social media channels. With so much potential to connect your audience, Instagram engagement is a must. Hold contests: Contests drive engagement, help you gain new followers and keep people coming back. Remember to make Instagram contests unique. Ask people to repost images or use branded hashtags. Post user-generated content: People love to be acknowledged and what better way than posting someone’s content on your network? Regramming could spark more people to participate. Ask questions: What’s the best way to get a response? Ask a question and get users’ opinions about your products or services. Always remember to engage with the answers. Post from unique locations: Users tend to interact when they see others in their city. Post from these different locations to pique people’s interest. When consumers see you visiting their city or dining at their restaurant, engagement is more likely. Always try to be authentic with your Instagram posts and avoid being too robotic. Humanize your content to get users to interact and follow you. Like we’ve mentioned many times before, it’s always quality over quantity. It’s smart to try to post often and during optimal times. In fact, we recently analyzed the data from our 25,000-plus customers to find out when their Instagrams received the most engagement. We even broke it down per industry, which you can see further in detail in our research! Wednesday at 3 p.m., Thursday at 5 a.m., 11 a.m., and 3 to 4 p.m. and Friday at 5 a.m. have the highest engagement. The lowest engagement tends to fall on Sundays. Early weekday mornings are prime engagement times. Also, quality content keeps your audience coming back. According to research from Union Metrics, data showed on average most brands post 1.5 times a day on Instagram. However, the research stated no direct parallel between post frequency and dipping engagement rates. It’s smart to take this data with a grain of salt, but posting two, three or four times a day could be a viable option. 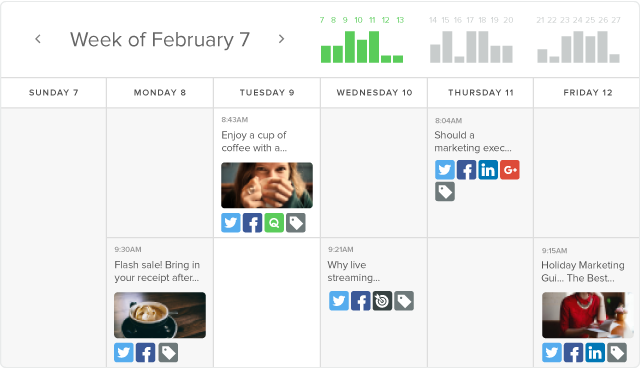 Find out what works best for you and your other social networks by using a social media calendar. Instagram gives you the unique chance to tell great stories through visual content. Instagram videos are highly effective at telling your brand’s story within 60 seconds. Storytelling is an amazing way to market your brand and create engaging images or videos. Get creative when it comes to standard marketing techniques by showcasing your brand or services in a new light. This isn’t to say you need to completely rebrand yourself but instead, try to show your brand’s versatility. For example, Urban Outfitters shows users updates for its #UORoadTrip hashtag, which tells a story of the brand. You can become a great storyteller by giving new and exciting vantage points to your product. Being authentic on Instagram is what users crave, so use this channel to engage and inspire your audience through attractive and interesting visuals. Sitting around, waiting for users to follow you might not get you too far. On the other hand, when you find different avenues to promote your Instagram, you increase the chance to get discovered. Instagram’s explore features: One of the most popular features on Instagram is Explore. This helps people find users or posts their own followers liked, followed or commented on. This opens a floodgate of content and you should try to get there by being where your future audience expects you. Tag People Involved: If there’s anyone participating in your campaign, make sure to tag them in your posts. Additionally, if you use USG content, give the person an appropriate shoutout. 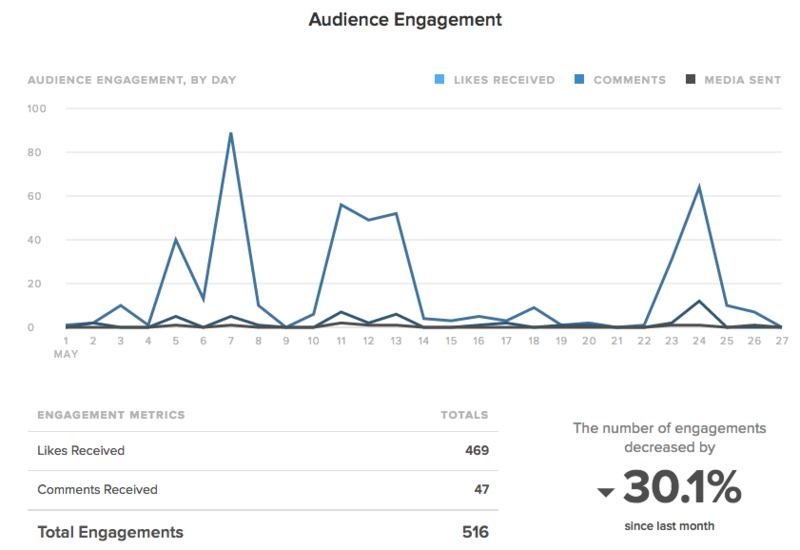 Using @mentions can actually double your engagement. This sparks a chain of events for friends of friends to notice your content. Use Hashtags Often: Instagram hashtags are your best friend. Hashtags help you get discovered, archive content and participate with other trending topics. Branded hashtags can do wonders for your marketing strategy. Use Geo Locations: Instagram users use geo locations to find content tagged at that specific location. Always use your geo-tag features from wherever you’re posting to boost your audience’s size. For example, if you were debating on where to eat and wanted to see authentic images of the food and decor, search a restaurant’s geo tag. Here you can see the arrange of posts and videos for the restaurant Sink/Swim. Analytics can tell you what’s working and what needs improvement. Overtime, you can built a large scope of data to track and measure performance. It’s critical to know when and how your audience is engaging with your Instagram content. Don’t simply rely on likes and followers, take the next step toward social media analytics and be confident in your marketing decisions. There are many ways to succeed and fail on Instagram, but by following these best practices, you have a better chance at keeping your audience happy. Alex York: is a writer and your guiding light to all things content. When he’s not writing, you'll catch him defending Ohio sports teams or endlessly scrolling through Netflix. Follow him on Twitter @alexjyork.